Frequent readers might know that I have a deep fondness for Square Enix's classic JRPG series, SaGa. The franchise has never quite found its foothold in the States, so much so that even the most successful North American release, SaGa Frontier, can't seem to find its way onto the PlayStation Store. However, in Japan, the series has deep roots in JRPG history that spread throughout the community thanks to some nostalgic releases we never got on the Super Nintendo. It's a totally different appreciation we can't possibly grasp because we were denied it during its prime. It's almost like Dragon Quest today! Fast-forward twenty years, and Square Enix has become something of a breeding pit for today's "non-Square Enix" JRPGs. So many veterans of the company have moved on to do their own thing that it's very hard to find any JRPG made without some ex-Square Enix developer involved. 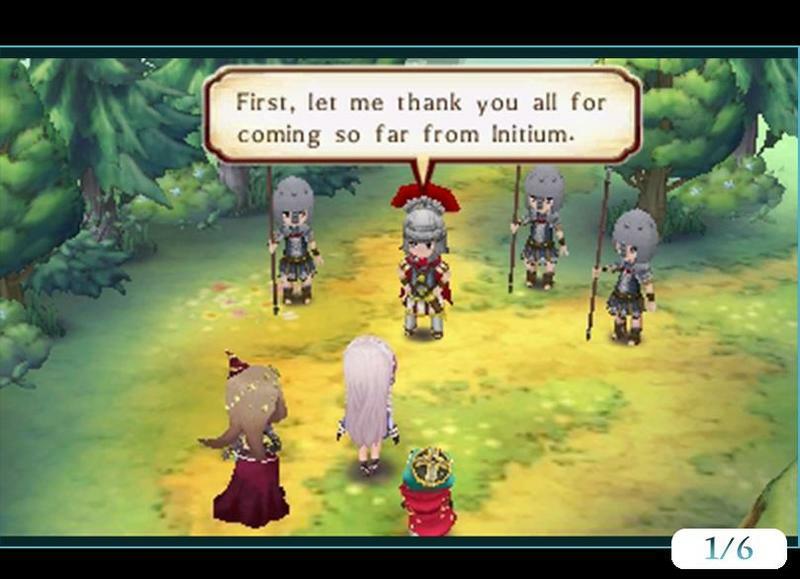 In The Legend of Legacy's case, many of these veterans once worked on the SaGa games, a fact that developer FuRyu played up a lot in the marketing. The classic series is often cited as being an "anti-Final Fantasy," meaning that whatever rules the iconic series created, SaGa will break and bend it to its own will. It might superficially look like a Final Fantasy, but once you start digging, the differences are astoundingly clear. Using the guidance of SaGa's former developers, FuRyu looked to tap into that lost art and create a game that could seen as a spiritual successor. How close does it come to capturing SaGa's bad-boy, rebellious nature? Thankfully, Square Enix was kind enough to bless us with a worthy comparison for exactly what I mean. 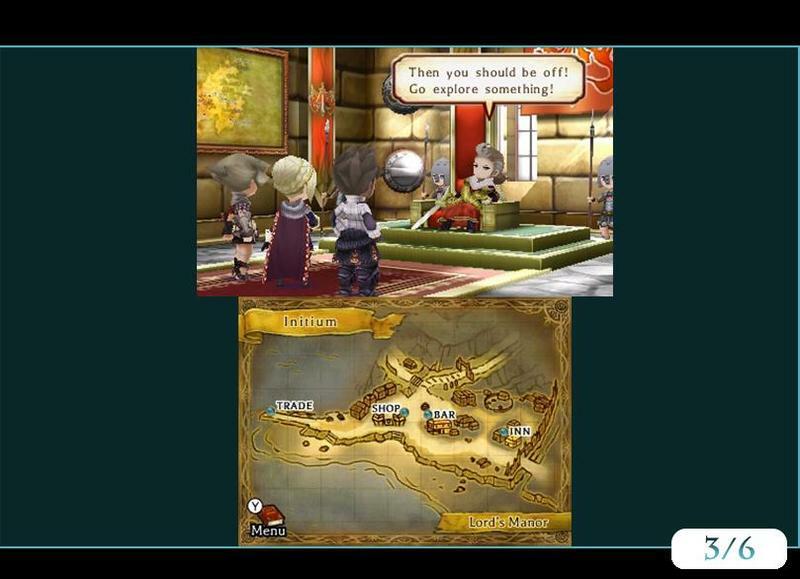 Bravely Default is a game that overly soaks in its adherence to Final Fantasy's customs. Gain experience, raise levels, change jobs, learn skills, progress through a linear adventure while being dragged from town to dungeon and back by the wrist, you know the deal. 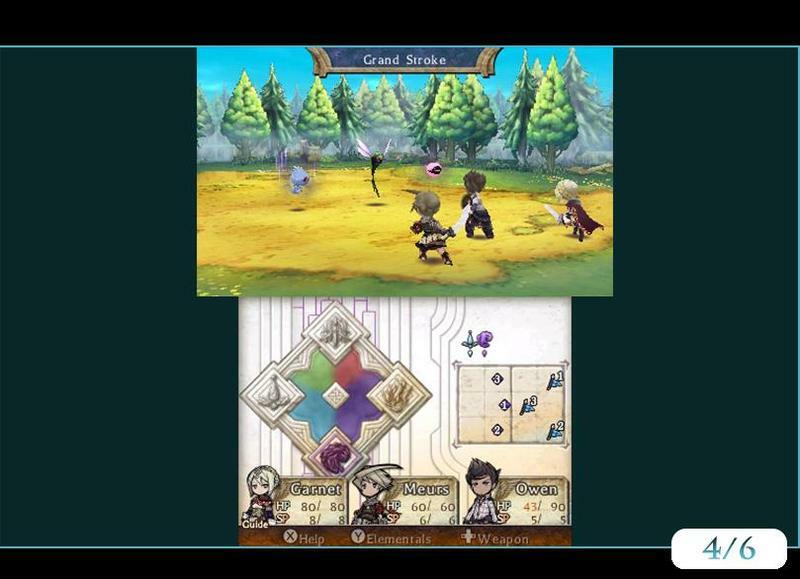 And likewise, The Legend of Legacy resembles Bravely Default quite a bit, employing a similar art style and color palette, designing squat character models, and giving the impression that this is about as generic of a JRPG as they come. Right? WRONG! Where do we begin with where the differences begin to fork? Well, for one thing, let's start with how The Legend of Legacy doesn't have much of a path to follow. The story is told minimally through the eyes of seven characters, and only one of them will explore his or her motivations in anything resembling depth. This will be your hero, chosen from the beginning, and The Legend of Legacy will provide two more to act as the hero's companions to give a quip every now and then. 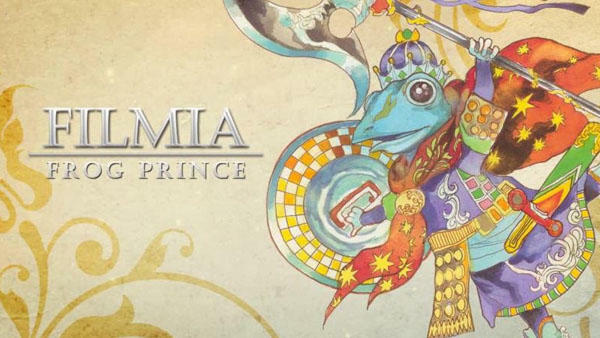 Just so we're clear, I chose the Frog Prince Filmia as my hero and I backed him up with the lovely duo of Bianca and Eloise. Every frog prince needs a princess or two to change him back, doesn't he? This was a spectacular line-up too because Atlus' touch with Filmia's lines is just priceless. He speaks English, but hardly in a way that a normal human would. FuRyu sets up its game with a brief introduction to the island of Avalon, a mystical land that appeared in the ocean ten years earlier, and then sets our heroes free. Just like in Skyrimor any other open-world RPG, progression is left up to the player. Dungeon locations on the overmap are available for a price at the local store, or they can be uncovered through good old fashioned exploration. Get on out there and see what you can find! Progress through the game is made through uncovering every corner of every dungeon. Generally, whenever the party unlocks a new area, their task will be to progress as far in as it can, power up by winning battles, escape once they can no longer heal, retreat to the town, refill on health, SAVE!, return and dive further in. Fully fleshed out maps can be sold for fat cash back in the town, and then there are the crystals. I won't lie. Rushing in and out and merely uncovering empty places on a map can get repetitive. The fact that The Legend of Legacy absolutely refuses to explain itself or give any direction will also definitely be a turnoff for some. 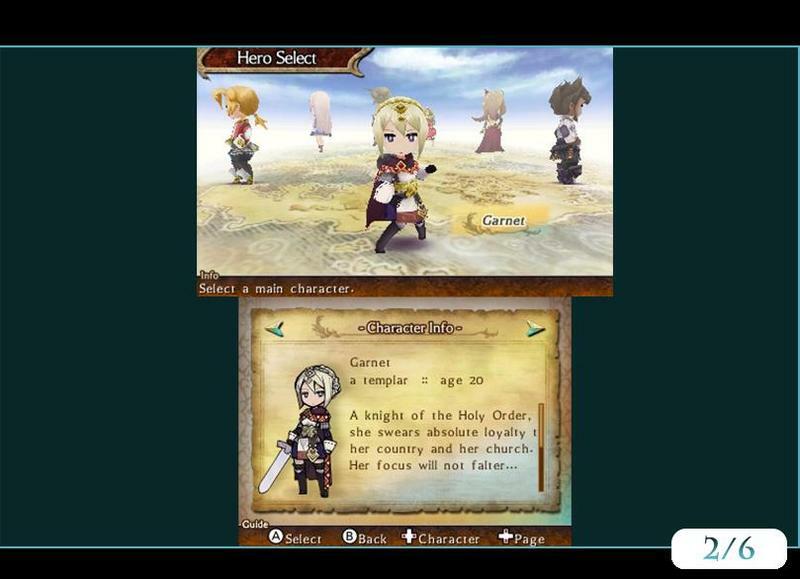 For example, the game doesn't explain that other characters can be recruited around town. You just have to discover that for yourself by actually… exploring the town. But that's what I like so much about The Legend of Legacy! It's a game without waypoints or complicated cutscenes or question marks over the heads of greedy townsfolk who need an errand. When you make a discovery on the island of Avalon, you'll genuinely feel like it was your discovery because you did it all on your own. An invisible developer didn't guide you to it, a plot point didn't drag you there, nor did a nameless NPC ask for three boar skins in "this area on the map where a secret might coincidentally be." If you find something interesting in The Legend of Legacy's world, it's totally on you and oh so rewarding. And in the meanwhile, while exploring, I just lost myself for hours in the classic JRPG art, the gorgeous music, the liberating feeling of old-school adventure, and the battles. Oh… the battles. Much like open-ended progression through the story, character improvement in The Legend of Legacy is also entirely up to the player. No, you won't be getting experience points in this game. Instead, if you want that strength stat to go up, you'll have to do a whole lot of sword choppin'. There are no such thing as "levels" in this battle system. If a character uses a physical weapon, he usually gains strength points at the end of a battle. If he uses magic, his magic attack might increase. Blocking could possibly raise his defense and health, and using special abilities will often result in an increase in skill points. Notice how I never use the word "will" though because nothing is for certain. Many times, you'll enter a battle in The Legend of Legacy and gain nothing at all! A pointless fight is never fun in an RPG, but it happens all the time here. Other times, a character might hit pay-dirt and gain a ridiculous number of stat points, leaving the battle as a much stronger fighter. The same goes for gold, items, and even special attacks. 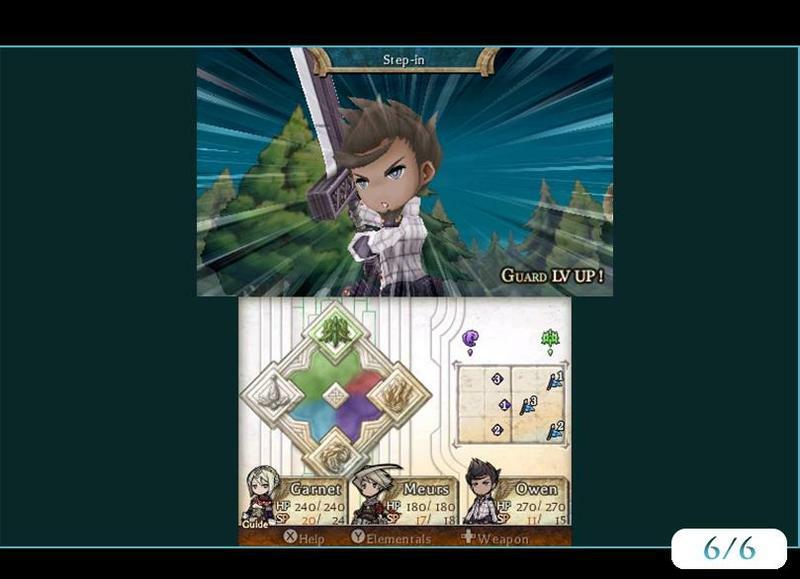 Where as in Bravely Default and almost any other RPG, new skills can be learned from the safety of a menu, The Legend of Legacy forces characters to learn them on the fly, meaning the only way to learn new skills is to use your old ones in battle. Do it enough times and MAYBE you'll be granted a stronger one, maybe you'll be granted a weaker one. Who knows? Again, it's the randomness to character progression which is bound to turn off a lot of people, especially in this age of calculated skill trees, but that's what attracted me so much as a SaGa fan. The thought of maybe learning a new skill or maybe gaining a stat boost creates a much different sensation than knowing that level-up is coming. When it actually happens, I won't say it feels "better." It's just different. "Well then, why not just build an army of indestructible Gods if they can learn or do anything?" Maybe, but every team needs balance in this game. If you try to go totally on the offensive, strong enemies will usually be faster and beat the stuffing out of your squishy characters before they get their first devastating attack off. Then, if you don't have a healer, you won't be able to bring them back from the dead. Each character also has affinities which will naturally aid them in progressing a certain way. For my group, Filmia is a natural tank and specializes in shields and water magic, which is mostly healing spells and other defensive abilities. Bianca learns new abilities faster than other characters, so she can whip out a huge arsenal of powerful physical attacks very early in the game. Eloise is a jill-of-all-trades when it comes to elemental spells, so she can cast anything, just not as well as characters who specialize in one element. The four others I didn't get around to using, but that's what New Game+ is for. And trust me, you won't want to develop more than three character on one playthrough. Generally, the first round of combat is used to set up "contract" with the elements: water, air, fire, darkness. Without these contracts, your characters can't cast magic, and without a tank to soak up the damage for the party, the weaker attack and support characters might not survive the first round to get any magic off in the second round. 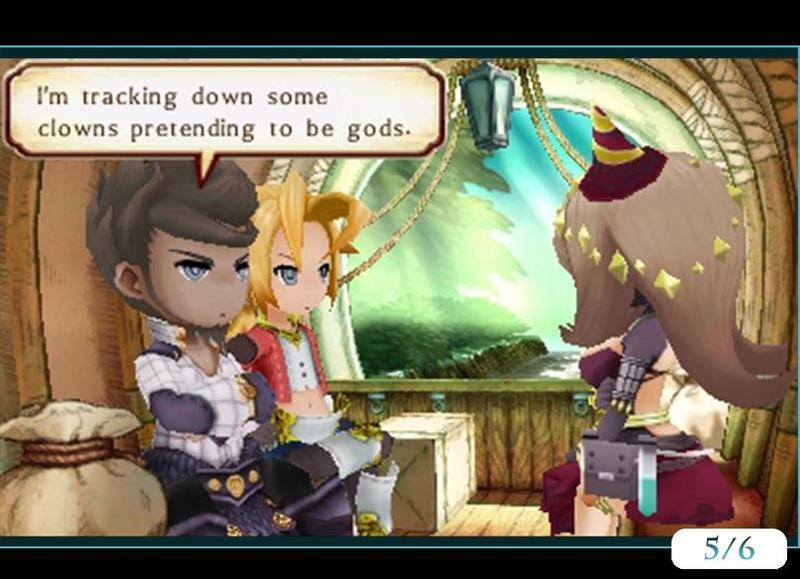 The Legend of Legacy can be brutal if weaker characters are left exposed. In the second round comes the questioning. Do you use attacks you know are effective to quickly end the fight? Do you use a skill you want to make stronger, even if it has no effect on the battle at hand? Did your blocker take too much damage and needs to be healed? Do you want to try and master a magic attack or learn a new physical one? Because a majority of the game's RPG mechanics are handled in battle, you'll be forced to make these decisions in the heat of the moment. Unlike Final Fantasy, very little time is spent in the menus because those crucial decisions made staring directly into the eyes of encroaching monsters. Do you fight to win? Fight to grind? Fight at all? It's so much more intense, difficulty curve included, and it feels more like how actual warriors improve, through practice and repetition, not in increments. Again, it's not better. Just different. And battles have a fast-forward option… ahhhh, what a great addition. Thank you so much, Atlus. You'll also have to balance elemental weapons and create your own battle formations eventually, but that's a whole can of worms I am still experimenting with right now. Needless to say, it's a complicated game despite its small stature. It has a lot of systems, but none of them feel overbearing or out of synch with the rest. On the surface, it might look like every other JRPG out there, but the subtle tweaks it makes to classic rules makes it a beast all on its own… and a winner. Atus took a bit of a gamble bringing this one to the English speaking world, and by all means, it should pay off. The Legend of Legacy is a marvelous hold-out from the PlayStation days, back when JRPGs were allowed to be experimental and take risks. The dungeon crawler is a popular go-to option these days, but more in the vein of roguelikes or first-person Etrian Odyssey rip-offs. I'm not sure if I've played anything that establishes its own rulebook as thoroughly as The Legend of Legacy. Atlus's excellent localization also adds a dose of flavor that I doubt was in the Japanese version, especially the vague storytelling of the singing stones and wonderful quips from Filmia. They bring a lot of nice touches to a plot that will leave many screaming for more but will never get it. And of course, there is the randomness of the mechanics and the wonderful island of Avalon that you are allowed to uncover at your own pace. I like a good plot in my JRPGs, but sometimes, I like to feel I am in the driver's seat. No waypoints steering me in any direction, no drama or angsty motivations causing a jam. The Legend of Legacy is like a road trip where the next stop is always left to chance and how you get there is nobody's choice but your's to make. Excellent game. I'm so glad it was localized, and I wish it nothing the best. It's not going to be for everyone, especially anybody looking for a new Chrono Trigger, but it was perfect for me. Disclaimer: We bought The Legend of Legacy for the Nintendo 3DS with personal funds and played 15 hours of the campaign before writing this review.